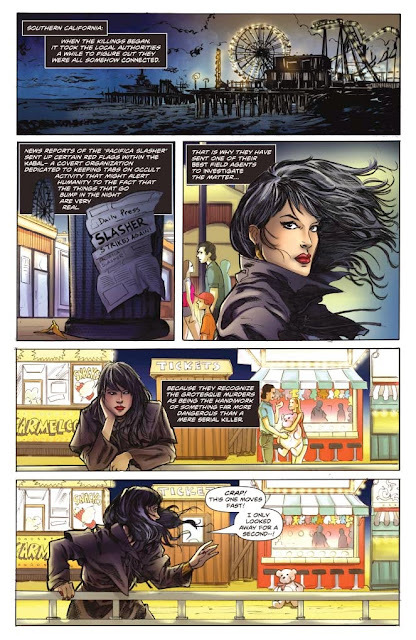 A team-up set up by Swords of Sorrow’s GAIL SIMONE, featuring the writer that she hand-picked: Nancy A. Collins! – Vampirella travels to Southern California to hunt down a supernatural serial killer known as the Pacifica Slasher, only to find herself transported to an alternate reality where there’s no such things as vampires, demons, and magic. But, as the most dangerous woman in the world, vigilante Jennifer Blood knows, that doesn’t mean monsters don’t exist. 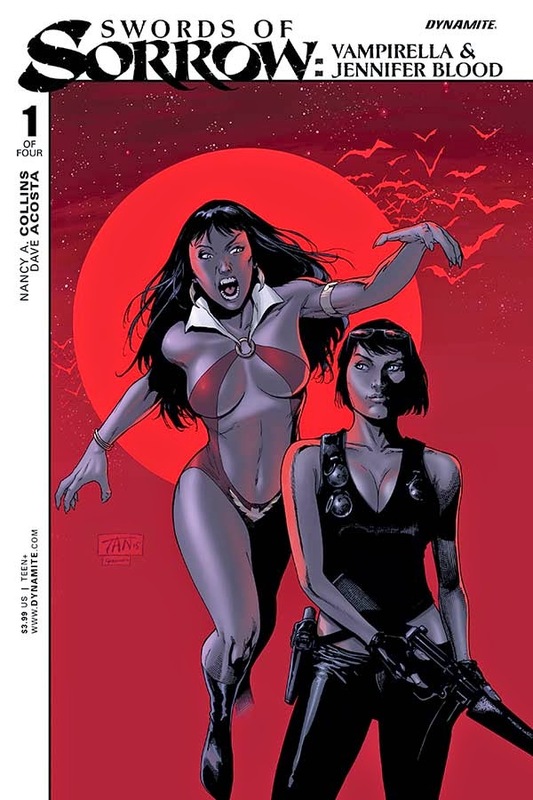 Does the weirdly shaped sword presented to her by the mysterious being called The Courier hold the key to returning Vampirella to her own universe? Or will she be forced to live and die in L.A.?